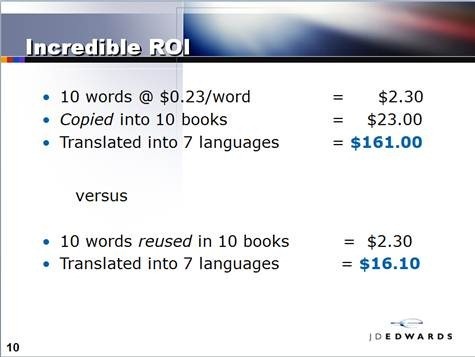 Even after nine years, the terminology ROI data from J.D. Edwards is still being quoted in the industry. The data made a splash, because it was the only data available at the time. It isn’t always quoted accurately, though, and since it just came up at TKE in Dublin, let’s revisit what the J.D. Edwards team did back then. J.D. Edwards VP of content publishing, Ben Martin, was invited to present at the TAMA conference in Antwerp in February 2001. His main focus was on single-source publishing. Ben invited yours truly to talk more about the details of the terminology management system as part of his presentation, and he also encouraged a little study that a small project team conducted. Ben’s argument for single-sourcing was and is simple: Write it once, reuse it multiple times; translate it once, reuse the translated chunk multiple times. At that time, the J.D. 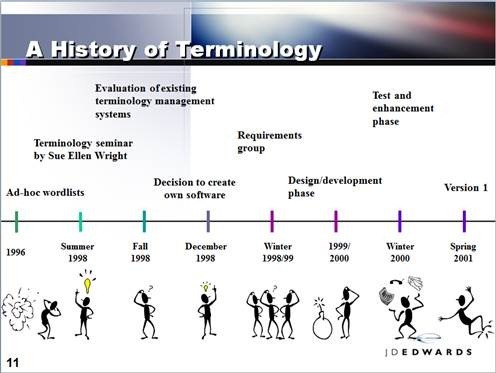 Edwards’ terminology team and project was in its infancy. In fact, the TMS was just about to go live, as the timeline presented in Antwerp shows. What does it cost to change one term throughout the J.D. Edwards software and documentation? What does it cost to manage one concept/term? 27 different terms were changed in various languages, and the time it took was measured. Then, the average change time was multiplied by the average hourly translation cost, including overhead. In the J.D. 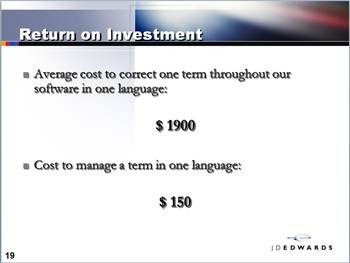 Edwards setting, the average cost to change one term in one language turned out to be $1900. The average time that it took to create one entry in the terminology database had already been measured. 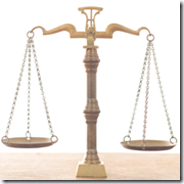 At that early time in the project, it cost $150 per terminological entry. There were three quality assurance steps in the flow of one entry for the source language English, and up to two steps in the flow of one entry for the target languages. So, the resulting entry was highly reliable, and change management was minimal. The cost came down dramatically over the months, as terminologists and other terminology stakeholders became more proficient in the process, standards and tool. Both figures are highly system/environment-dependent. In other words, if it is easy to find and replace a term in the documents, it will cost less. While these figures were first published years ago, they served as the benchmark in the industry and established an ROI model that has since been used and further developed and elaborated on. If you have any opinion, thoughts or can share other information, feel free to add a comment or send me an e-mail.